How Far is Mantri Serene? When was the last you enjoyed the view of a swirling cloud touching the hillock top? Now, catch a glimpse of the sun dropping down the lake from your drawing room. A place where the day breaks with the chirping of birds and the night comes with the shimmering of fireflies. Come and get involved with nature for a life time. 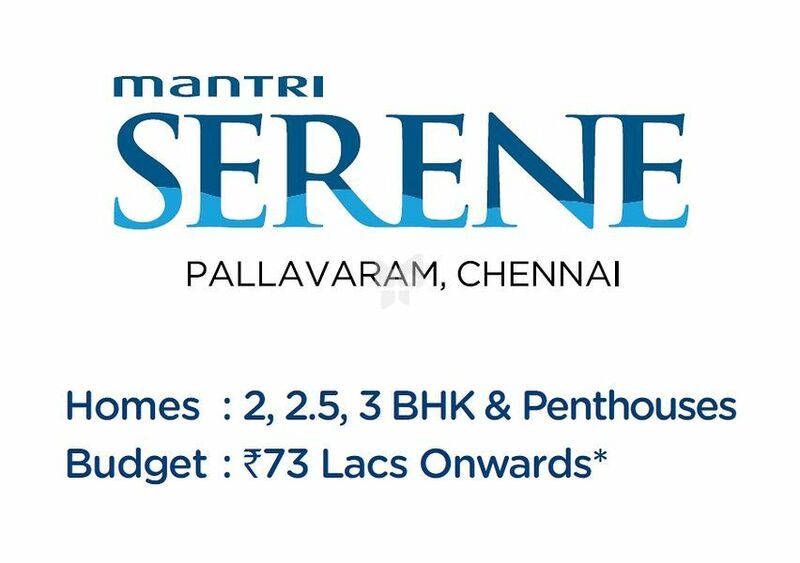 South India's most-respected real estate developers, Mantri Developers, presents Mantri Serene in Pallavaram, Chennai. It is nestled against the pristine Periyar Eri Lake, picturesque hillocks and shaded coconut groves. The property is untouched by the hustle and bustle of the city, but offers the comforts and luxuries of a city life. The plush clubhouse, state-of-art gymnasium, swimming pool and a landscape park are some of the few conveniences at Mantri Serene. Here life blossoms at every corner. Move in, to experience it. Naturally ventilated & well lit Designer Apartments with Contemporary looks. The design naturally focuses on the lake, much attention has been paid to street frontage and the expanse of the swamp forest land, presenting the Lakefront development as a clear statement of contemporary design. One of its kind of high end clubhouse which is literally submerged with green/landscaped roof Elegant lobbies at each Tower entry points. Terraced Penthouses on roof offer excellent views. The specificans for the project are in the range of mid market plus finishes. Project is provided with STP, thus the treated water generated from its will be used for gardening and flushing hence will be less dependent on municipal source. A portion of the common lights will be powered by solar energy. Excellent natural lighting and ventilation provided from most of the sides. Outstanding penthouses overlooks the Lake & swamp forest land. 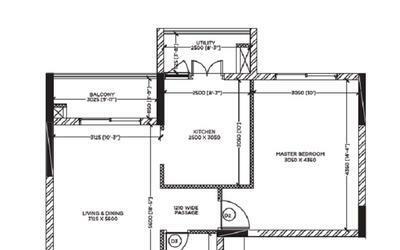 The project cater to mid market plus buyers. Book a home & get 24 months rental Payments.